Get The Scoop On The New 4 Rivers Cantina Barbacoa Food Truck At #DisneySprings! One thing that Disney fans have in common, is our love of food, especially while visiting our favorite Disney locations. 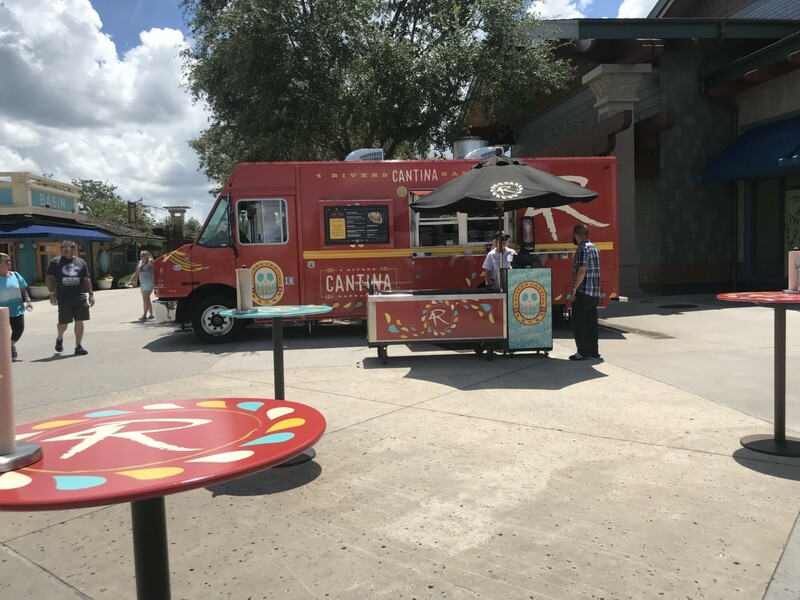 Disney Springs is a great place to find delicious foods, and now it just got better, with the 4 Rivers Cantina Barbacoa Food Truck. The truck is located on the far side of the World of Disney Store, by the door with the larger than life Stitch on top. Yesterday, was their grand opening ribbon cutting ceremony, and we were invited to attend! Brisket Barbacoa, Nana’s Pork Sofrito, Chicken Tinga, Grilled Tri-tip Steak, and Black Beans & Rice. See the menu items for yourself below! After we tried the new foods, there was a cake cutting in celebration of the new venture as well. All in all, I’d have to say that the 4 Rivers Cantina Barbacoa Food Truck is an excellent addition to Disney Springs. The food is amazing, and also fun, it’s not something you see every day. So the next time you’re visiting Disney Springs at Walt Disney World, stop by the new food truck, you’ll be so glad that you did!